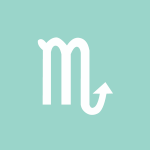 The Moon is in Scorpio until 9:32 AM, after which the Moon is in Sagittarius. The void Moon occurs until 9:32 AM (since yesterday at 5:38 PM). 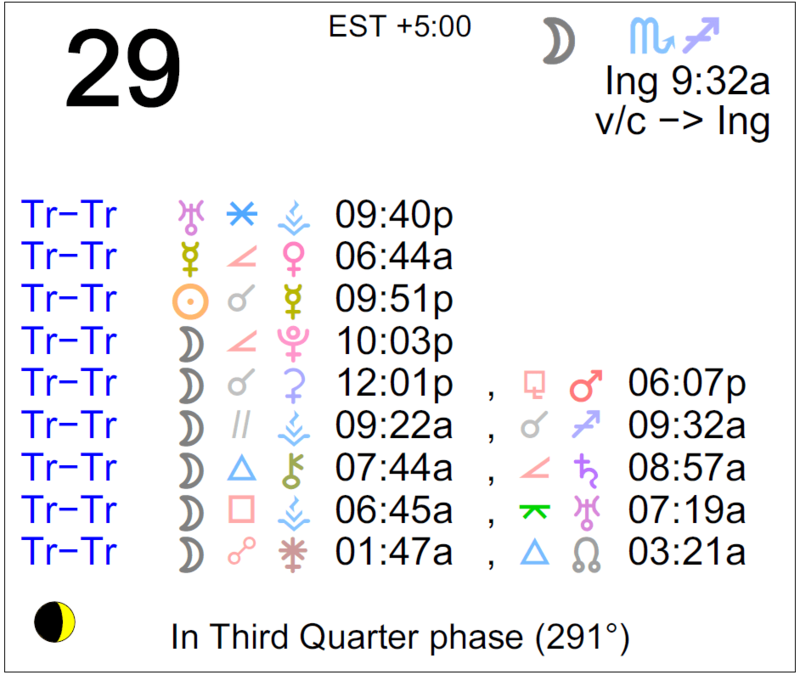 The Moon is waning and in its Last Quarter phase. 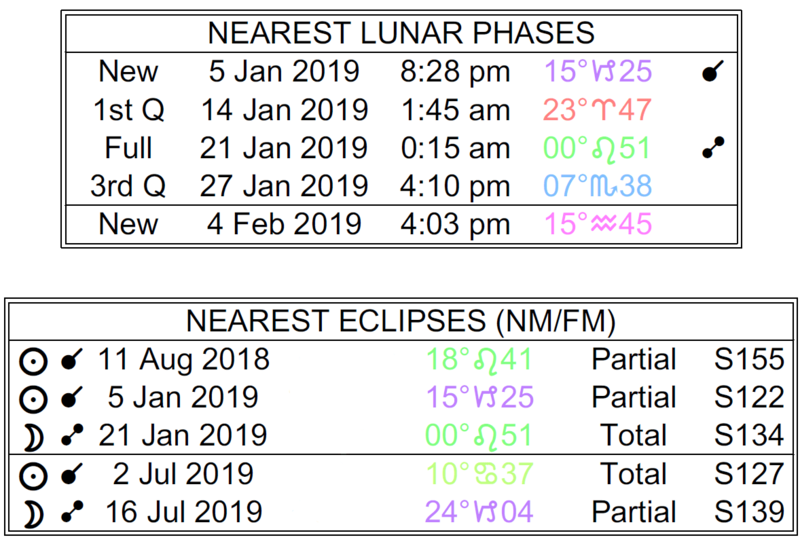 We are in between the Last Quarter Moon, which occurred on the 27th, and the New Moon, which will happen on February 4th. Current retrogrades: No major ones. **Times are Eastern Standard Time (EST). A Mercury-Sun alignment can help clarify a matter today, dear Aries, mainly related to friendship, special plans or dreams, or a pet project. Alternatively, this can be a time of further developments on an initiative from late November that is now beginning to gain traction and blossom. Today is useful for seeing a plan or friendship with greater clarity, although there can be some confusion leading up to this. Friends have something important to contribute or say right now, and the full details of a plan may be born. You might also be playing with emerging new ideas for long-term ventures and projects. Today is strong for putting extra effort into making a connection or a contribution. Joining with someone or a group may figure strongly now, and it can be quite useful and even instructive. 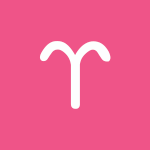 Mercury and the Sun align at the top of your solar chart today, dear Taurus, and this connection can help you see career and life path goals or professional matters and responsibilities more clearly, or at least in a balanced, logical way. There can be some confusing preamble to all of this now, but it’s worth the head trip! Verbalizing your thoughts on paper, device, or orally can be particularly useful, serving to bring plans to life and helping you make a decision or understand things more fully. Your powers of reasoning are particularly strong right now, and there can be meaningful conversations or communications occurring that help you turn a corner. This can also be a powerful day for applying your unique wisdom or even past work or efforts to a current project with pleasant results. The Sun and Mercury align today, dear Gemini, taking you to a peak or turning point on a mental level. Illumination or at least increased mental clarity are in store now, and this gives you a brand new perspective on your life. Conversations, news, and thoughts are significant now, helping you clear up recent misconceptions, confusion, or uncertainty. Now is the time when plans form or come together, mainly related to your communications, studies, personal interests, or travel. There can be strong motivation to share your work, ideas, or beliefs now and this week. Interestingly, you are finding freedom in adding a little more structure and discipline to your life, and the idea of getting back on track with your plans or projects is especially appealing at the moment. Doing your own thing, perhaps ironically, gets you closer to others. There is a nice, creative focus on your intimate or financial life today, dear Cancer, and these energies are both logical and innovative. A connection between your intimacy and career sectors supports building exciting strategies for your work. This may involve more tech or a particularly new or progressive method that takes things to a new level. As well today, the Sun and Mercury come together in your solar eighth house, and you may be seeing an intimate relationship or financial issue more clearly now. This does come after some wavering, but it’s worth the effort! You can gain new insight into your motivations or what makes a particular person in your life tick. Solving a mystery can be rewarding, or you might have a particularly illuminating discussion about a matter that was previously hidden, kept under wraps, or especially complicated. 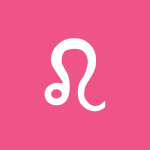 Your partnership and adventure sectors connect pleasantly today, dear Leo, and you could find yourself in agreement with a special someone over a key matter. Sharing a vision or a unique experience can strengthen a bond. Also today, Mercury and the Sun align in the sign opposite yours, and mental energy is intense and in the spotlight. You’re both logical and creative with a partner or about your relationship needs, and it’s a rare combination. You may be sorting and organizing your thoughts and ideas today, and interactions or conversations with someone can help jumpstart important thinking. Whether verbalizing a matter to someone helps you to see the issue more clearly or you come to an important conclusion about a relationship, this is an enlightening time. An idea or plan comes to fruition. Some emotional detachment can be quite pleasant and immensely helpful now. You’re most interested in what’s constructive and fair today. There may be new clarity or a turning point in a relationship for some of you. 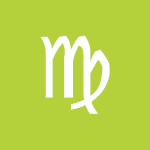 You are in a beautiful position to learn something handy for improving your work, services, business, or even your health, dear Virgo. You may have been wavering on a matter, trying hard to make sense of it, and now you’re clearer about it, or at least you know where you stand on an issue, and it feels good! The Sun and Mercury align today, putting you in the spotlight, quite possibly about your work or services, or a work or health matter gains traction or clarity. This is an excellent time for filling in the blanks or the details. You’re in perfect shape for making plans and lists, editing, refining, and talking things through with co-workers or people with whom you spend a lot of time. Giving voice to your thoughts and ideas or even writing or typing them out can help you see things more clearly and objectively. This can be a great time for enjoying new ways of relating to someone in your life, dear Libra, and enjoying a nice balance between freedom and responsibility in a friendship or partnership. You’re attracted to someone who is doing their own thing or daring to be a little different now. 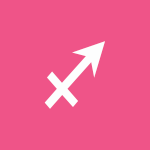 A Sun-Mercury alignment today frames you well and helps you get a point across. It can also aid with clarity on a matter, pushing a plan forward or facilitating a decision. This can also be a time for gaining some clarity about creative projects, a relationship, or a hobby. You’re taking more pride in your work, ideas, and beliefs today. Creative projects could reach a turning point, or there can be a romantic revelation, and this can relate to a matter that has been developing since November. Observations made now are likely to be significant, and assessing recent ideas can be very successful. 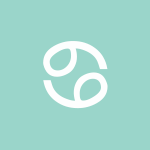 You’re in particularly good shape for making small but substantial advancements related to your home or working life today, dear Scorpio. You have a couple of helpful influences with you now that lead to more clarity and decisiveness, and also turn your attention to new and innovative approaches and methods. It can be a time of meaningful conversations about or with family. As the Sun and Mercury come together in your solar fourth house, home or family plans may similarly come together. Ideas can blossom now, and they’re likely related to money matters, income, and domestic matters. It’s a good idea to use this radiant energy for making plans, solving problems, and handling details. Analyzing emotional issues can sometimes take you away from your feelings a little too far, but today it can be a useful exercise. Significant ideas, news, or conversations can emerge now. This can be a mentally busy day, dear Sagittarius, and a potentially illuminating time. After some mental wavering, things are coming together. It’s a good idea to pay extra attention to details, news, and ideas presented now and this week with the Sun and Mercury joining forces in your communications sector. This is a personal matter for you, even if the energy is on the logical, intellectual side, as it relates to an idea that first formed while the Sun and Mercury were in your sign in late November. Something is realized or decided now, and it can feel satisfying! You’re in a particularly good position to sort things out and solve problems or to gain some clarity on your studies, trips, or projects as new details emerge. Significant decisions can result from today’s conversations. This is also a beautiful time for creative writing or romantic expression. 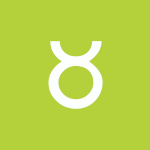 While the day can begin on a confused or fumbling note socially, dear Capricorn, it’s likely to shape up in bright, illuminating ways. Recent ups and downs or mental wavering can now turn into solid, happy decisions. This is especially the case regarding money matters and practical affairs with the Sun and Mercury coming to an alignment in your resources sector today. The new insights, ideas, and perspectives emerging now and this week can be significant. Helpful information can come into your life or is now ready to be processed, organized, and sorted. There can be a turning point or the fruition of a project first considered in late November, or new developments arise related to an issue from around that date. This is also an excellent time for applying new and progressive methods to business and family life for happy results. 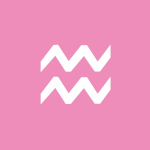 Today’s influences are particularly strong for you, dear Aquarius, moving things forward quite pleasantly. 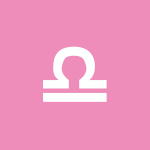 For one, the Sun and Mercury align in your sign, and for another, your ruler, Uranus, connects harmoniously with commitment-ready Vesta. Your words are heard loud and clear now, so be sure they represent you well! You may feel compelled to express your ideas and make an impact, others are seeking out your opinion, or you’re the topic of the moment. There may be an epiphany or culmination of a project now, and you’re able to see details you overlooked in the past. An idea that was born in late November can now blossom, and a decision is imminent. Clarity on a matter is likely to come, and after some wavering on an issue, you’re happy to be “in the know.” This is an especially good time for communicating and connecting in new ways that really get you places. 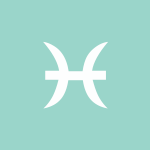 A lot is going on under the hood today, dear Pisces, and it can be highly enlightening! The Sun and Mercury align in your soul sector, and this can prompt you to verbalize, analyze, or sort out a private matter or a lingering problem. Even writing something out and seeing it in words can give it new life and energy, helping you understand an issue in a new way and thus getting you closer to a resolution or decision. Revealing conversations or details emerging can prompt a turning point of sorts now. You may be in a better position to communicate or rationalize a matter that, before today, was difficult to express or understand. Also now, you’re in particularly good shape for applying new thinking or methods to business matters. Innovative ideas are fairly popping at the moment! * Remember to read horoscopes for your Ascendant sign and Sun sign. If you don’t know your Ascendant sign (and you know your birth time), you can look it up here. Above are astrological event highlights for the day. Full Horoscopes are at Cafe Astrology. 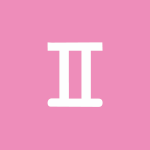 If Your Birthday is January 29, 2019, If Today is Your Birthday full horoscope here. Planet Color Key: The longer the bar, the slower the aspecting planet and the longer the duration of the planet’s transit. The purple marker above shows where we are in the current moon phase cycle. This is a time for expanding our mind and experience, exploring new pathways, aiming high, and broadening our horizons. It’s not as strong for detail or routine work. There can be restlessness, courage, and spontaneity now. Something can be revealed or learned about our relationships. There can be hypersensitivity and moodiness. Temptations to manipulate or control others if we are driven by fear. A good time for dealing with the public, for making connections, and for taking positive steps toward a personal or professional goal. You are able to make changes. This is a feel-good time for embracing new opportunities. We can be a little stiff with our emotions, and we can be distracted from our work or focus. There can be difficulty expressing tenderness, concern, or care. There can be vague insecurity stimulated now, as we feel a little out of control faced with unpredictable events or feelings. There may be a conflict between a desire for familiarity and comfort, and the need for a change or excitement. There can be new or easy understanding of our feelings and impressions now. We have a greater understanding of, or compassion for, others’ plights. We are more emotionally present and involved. Synchronicity is a feature of our daily life right now. Tune in and enjoy the spiritual signposts. We could feel burdened, restricted, or limited during this brief influence. We could be feeling a little down on ourselves, excluded, or lonely. There can be some awkwardness or stiffness and difficulty showing affection and feelings. Patience is a virtue right now; otherwise, we might succumb to feelings of frustration and sadness. All good things come to those who wait. There is a stronger desire to nourish, care for, or tend to favorite people, things, and projects. There can be greater attention to diet, health, and self-care programs. There can be a stronger connection to people we love, home, and family, and more sensitivity to others in general. We can overreact and exhibit impatience. However, this can also be a time of self-motivation. Deeper feelings emerge suddenly, and possibly in a disruptive way. We may be over-reacting or going to extremes. Wait for the tension to subside before taking action. This is an auspicious time for communicating and writing. Assert yourself with clarity. We are more sensitive to imbalances or potential conflicts in our relationships. We may skim the surface or say what others want to hear in order to avoid stirring up problems. Discussions may be polite, but not very deep or meaningful now. Distractions are likely. Mental laziness. This is a good time to put in effort towards progressive causes and projects, and to bring new, unique, and exciting elements to our work. New techniques or options can emerge. Initiating, pioneering energy. Independent, bold, courageous, assertive, fiery, inspirational, direct, decisive. Can be egotistical, impulsive, impatient, aggressive, lacking subtlety. 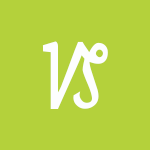 Inspiring, broad vision, enthusiastic, goal seeking, truthful, adventurous. Can be reckless, unrestrained, tactless. Humanitarian, innovative, group conscious, progressive, serving others. Can be rebellious, eccentric, aloof, emotionally superficial, overly extroverted. The Fire signs are Aries, Leo, and Sagittarius. The element of Fire is enthusiastic, dynamic, and spontaneous, but lacks reflection. We are more courageous and adventurous now, with a tendency to act before thinking. There is little concern about what happened in the past. We are competitive and possibly impatient or bored easily. There can be a lack of desire, interest, or skills regarding practical affairs. We may not be very much in touch with reality. Difficulties concentrating, grounding ourselves. There may be some insensitivity or lack of empathy now. We may be out of touch with what we’re feeling or with our emotional needs. We may be tougher than usual now, and more inclined to follow mental or practical considerations than we are to listen to our intuition. Moon from 90 to 45 degrees behind the Sun. We have strong beliefs and are likely to put them into action. We have the wisdom to know when to act, but sometimes can be inflexible. Note that when an aspect is applying, it has not yet happened but is within orb – it’s pending. When an aspect is separating, it has already happened/perfected and is moving away from the aspect. Depending on the speed of the planet/body involved, the aspect will have perfected–or will perfect–in a matter of hours (often the case with the Moon), days, months, and possibly years in the case of the very slow-moving outer planets and bodies. Note that the Moon moves at a rate of approximately one degree every 2 hours so that if an aspect involving the Moon is applying and has an orb of 5 degrees, the aspect will perfect (be exact) in about 10 hours. 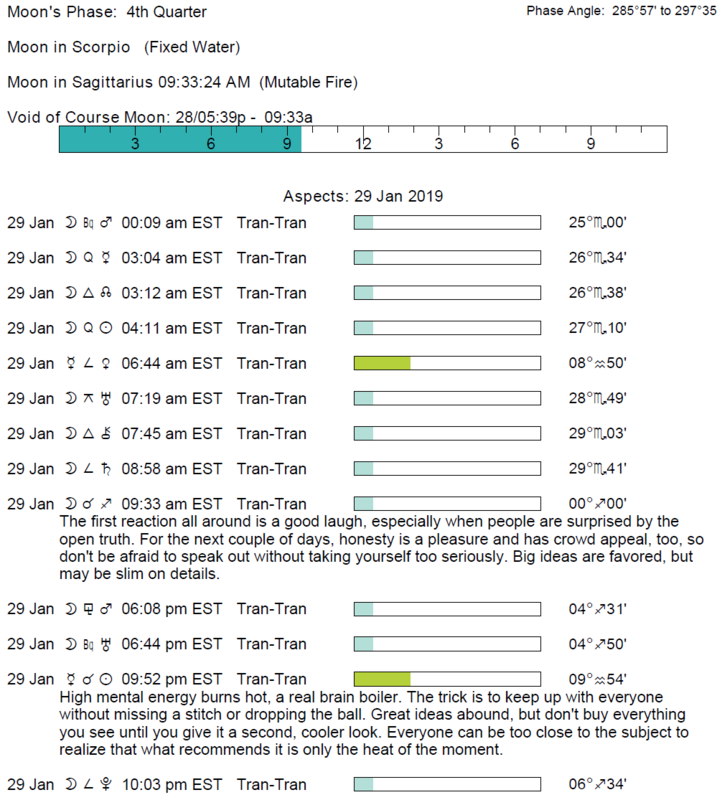 If the Moon is separating from an aspect with an orb of 2 degrees, it has already formed said aspect approximately 4 hours ago (since the following are positions at noon today, then it would have occurred at about 8 AM today). **I suggest paying close attention to applying aspects. The energy of the aspect builds as it gets closer to exact. Once an aspect involving inner planets has happened, it’s over. Separating aspects are good to know for context, but in terms of energy that is with us today, applying aspects are most important. (This is the case for daily astrology influences involving inner planets, which pass quickly, and not natal astrology aspects, which are with us for a lifetime). Sabian Symbol: The ocean covered with whitecaps. There can be new or easy understanding of our feelings and impressions now. We have a greater understanding of, or compassion for, others’ problems. We are more emotionally present and involved. You are unconventional, friendly, unpredictable and innovative. You like originality and may become rebellious. Sabian Symbol: A popularity that proves ephemeral. Thoughts and communications about ourselves and our goals. We are expressing ourselves confidently, directly, and clearly. You are brimming with original and unique ideas. You enjoy exchanging ideas with other people, particularly friends and groups of people. You are an inventive thinker, and may rebel against old and traditional ideas. You want to share an adventure with your partner, ranging from sharing adventurous ideas to hiking in the mountains. You may also enjoy relating with foreigners, and dining out with your partner at foreign restaurants. Sabian Symbol: A chubby boy on a hobbyhorse. You have a talent for relating to other people. You are a loyal and fun loving partner with an ability to balance intimacy with independence. You may take your own creative talents for granted and fail to make the most of them. We are looking for more meaning or color to our lives and especially to our relationships. We seek to make others happy and tend to give others the benefit of the doubt. Our feelings and tastes are grand, and we may be especially extravagant or indulgent. We are open to new or unusual experiences. Our intuition for making changes serves us well now, and there can be good business sense, particularly for tapping into current or future trends. There is a healthy level of detachment experienced now that opens us up to new ideas, methods, art forms, and ways of relating. You experience emotional pain in your relationships. You have difficulty experiencing the joy and beauty of intimate relationships. You need to face early childhood feelings of rejection and develop empathy for others close to you. You have a strong drive to initiate activities. You are spontaneous and like to take risks, You may also be rash and accident prone. You can be aggressive if thwarted. Sabian Symbol: A child feeding birds in winter. You are enthusiastic with an endless source of energy. You could direct your energy to achievement in sports, politics or travel. We can feel thwarted, blocked, or slowed down. Enthusiasm wanes. Delays are possible but might lead to important edits and adjustments. We may be looking for the upper hand and resisting others’ control. Resentments come to the surface. Sabian Symbol: Tiny children in sunbonnets. You are artistic and talented but need to learn self-discipline if you are to make something of it. You may be careless with your possessions and need to learn to handle money. Don’t speculate. Conservation, moderation, definition, structure, simplicity, and realism are themes now. We might also be striving for more authority in a particular area of our lives now. This is a time for making clear choices and decisions, for weeding out what isn’t working for us, and for letting go of lost causes, particularly related to our life path choices, careers, and long-term goals. (from December 19, 2017, to March 21, 2020; and then from July 1 to December 17, 2020). Sabian Symbol: Many toys in the children’s ward of a hospital. You are able to use your inspiration to be of service to humanity. You also have a talent for bringing this out in other people and helping them to work on improving social conditions. You are an ambitious and powerful person. You are a powerful leader and must learn to use your unique insights for positive purposes. The urge to start fresh, to break free from restrictive attitudes or circumstances, to totally redesign an area of our lives (or even our personalities), and to gain freedom through independence is strong during this cycle. (May 27, 2010, to August 13, 2010, then March 11th, 2011, to May 15, 2018, then November 6, 2018, to March 6, 2019). Sabian Symbol: A celestial choir singing. Sabian Symbol: An officer preparing to drill his men. Tests of our boundaries; breaking down and rebuilding structures and rules. (From January 25, 2008, to June 14, 2008, then November 26, 2008, to March 23, 2023, then June 11, 2023, to January 20, 2024, then September 1, 2024, to November 19, 2024). Sabian Symbol: A general accepting defeat gracefully. You have a tendency to become embroiled in the dramas of life. You are familiar with the darker side of life. Your challenge is to rise above the negativity and use your resources for the good of others. Strong awareness of our own vulnerabilities and humanity stimulates compassion for others. (April 20 to July 20, 2010, then February 8, 2011, to April 17, 2018, then September 25, 2018, to February 18, 2019). Sabian Symbol: The great stone face (being the projection of an ideal). You work best in an atmosphere of freedom and have a tendency to escape from routine. You will have a commitment to humanitarian or political causes which do not offend your sense of individuality. Sabian Symbol: Butterfly emerging from a chrysalis. You are able to see both sides of a story and help bring opposing parties into agreement. You are a diplomat and a defender of justice. Sabian Symbol: A man in deep gloom. Unnoticed, angels come to his help. You need to feel safe and secure in your relationships. You want your partner to be reliable and stable and are likely to want a traditional marriage. Sabian Symbol: A woman selling beads. You prefer your loved ones to provide you with a sense of adventure and freedom. You feel cared for when you are allowed space to explore and reach for your goals. Sabian Symbol: A big white dove, a message bearer. Sabian Symbol: An open window and a net curtain blowing into a cornucopia. This is a quest to overcome inner pride and to tolerate your own failures. You have a tendency to make life harder than it need be. This is based on past lives where you had to work hard for people’s respect. You need to learn humility and to express your emotions honestly so that you can nurture others with your wealth of wisdom. Sabian Symbol: A furious storm rages through a residential canyon. Sabian Symbol: A mountain pilgrimage. Cnj 15°Pi34 ACHERNAR Risk of rapid endings. Cnj 29°Pi37 SCHEAT To be a thinker or intellect. Cnj 26°Ta25 ALGOL— Feminine passion and intensity. Cnj 26°Cn03 PROCYON Short lived opportunities. Sun 02° Taurus 36' 31"
Moon 18° Sagittarius 22' 17"
Mercury 07° Aries 38' 41"
Venus 02° Aries 52' 19"
Mars 14° Gemini 59' 40"
Saturn 20° Capricorn 28' 43"
Uranus 02° Taurus 31' 58"
Neptune 17° Pisces 48' 16"
Pluto 23° Capricorn 09' 04"
Chiron 03° Aries 38' 06"
Astrology Cafe offers daily astrology: Cafe Astrology horoscopes as well as current planetary positions and aspects influencing today, tomorrow, and the next day.